Two weeks ago, I shared the Christian responses. 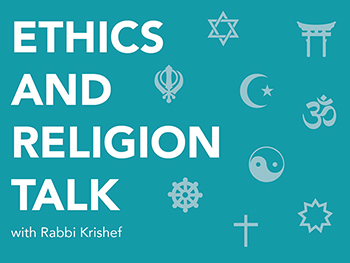 This week, I’m sharing the Jewish, Hindu, Islamic, and Unitarian responses. “Let’s begin by saying that not all of us agree with the premise. Hinduism encourages devotees to abandon the notion of God as ‘The Great Chess Master’ who (seemingly) arbitrarily decides that it’s time for this or that person, though they may be only hours old, to move to another plane. But I will agree that death is part of the natural process of life that was initiated by God. Here we can look to the Bhagavad Gita (Chapter IX) where it states, ‘Death am I! Immortal life I am!’ And in Chapter II, ‘Life cannot slay, Life is not slain!’ We see here that the actual process of death is a part of Divinity, as is immortality. Moreover, what we think of as death is merely a transition. Judaism places conception, birth, life, and death in the hands of God. At the same time God gives human beings the responsibility of properly protecting and nurturing life, and making decisions about medical care at critical moments (which includes decisions about protecting the life or health of a pregnant woman by aborting a pregnancy). But Jews, no less than any other religious or secular segment of our society, have been influenced by a culture which has a problem facing illness and death, illustrated by the language we use. We talk about the war against cancer. We fight against disease. Our obituaries commonly commonly describe death as the losing a battle. In traditional Western medicine, the role of a doctor is to fight the disease. When the patient survives, the doctor wins. When the patient dies, the doctor has failed. This kind of language is not useful. It doesn’t lead us to constructively engage with the fact that we are mortal. We might postpone the inevitable for a few months, years, or decades, but no creature in the history of planet earth has yet defeated death. I suggest that we think of ourselves as living with cancer or an illness, rather than fighting against it. That means that medical decisions ought to be values-based decisions, not just decisions based on the bio-chemical functioning of the human body. It means that we choose a treatment regimen based on how we want to live rather than a fear or avoidance of death. If we treated aging, illness, and death as a process rather than a battle, it would dramatically change the way we live our lives, especially when nearing the end. The practice of medicine is changing to reflect this truth. Palliative medicine believes in treating the patient according to his or her values. It means trying to find a cure for the illness as aggressively as the patient wants, for as long as the course of treatment is reasonable. It means managing the pain and choosing treatment so that the patient has the quality of life that he seeks. The Jewish approach embraces our autonomy to seek medical care to lengthen our lives and an acceptance that death is an inevitable end of every human life.